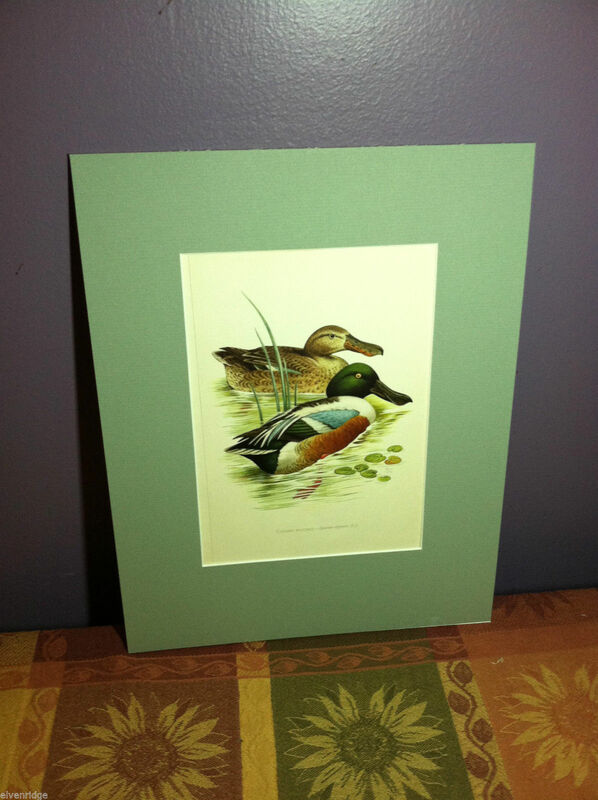 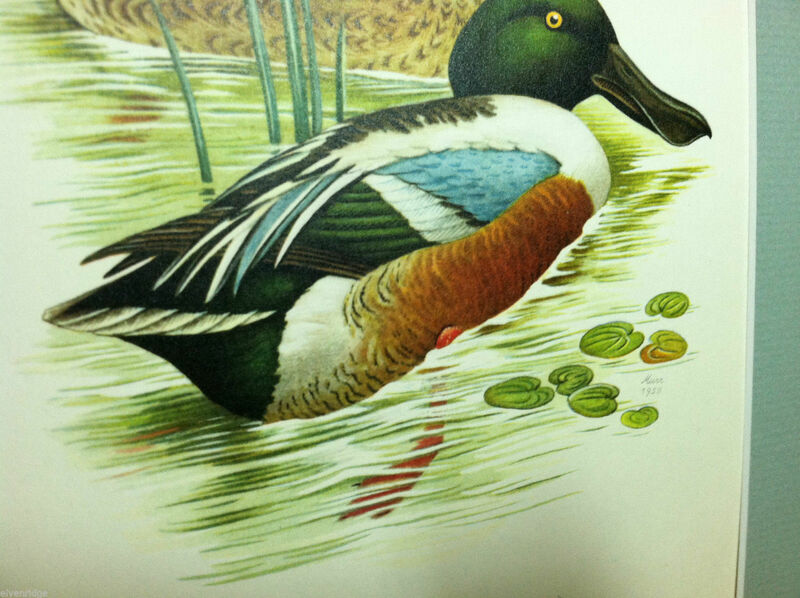 This print illustrates two beautiful Northern Shoveler ducks wading through the water. 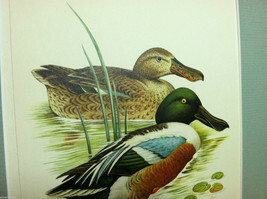 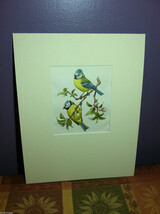 The print comes from a book, which has been referenced in the photos, called "Les Plus Beaux Oiseux" which means "The Most Beautiful Birds" in French. 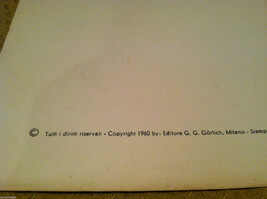 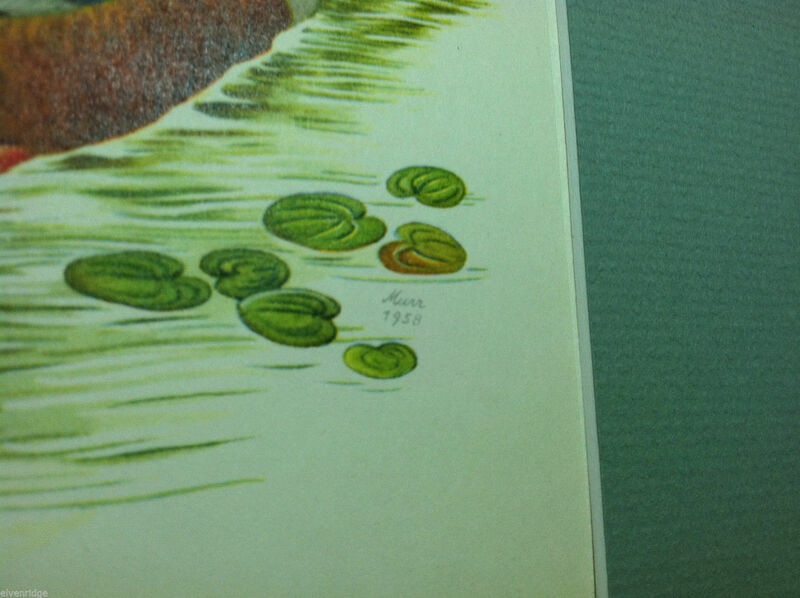 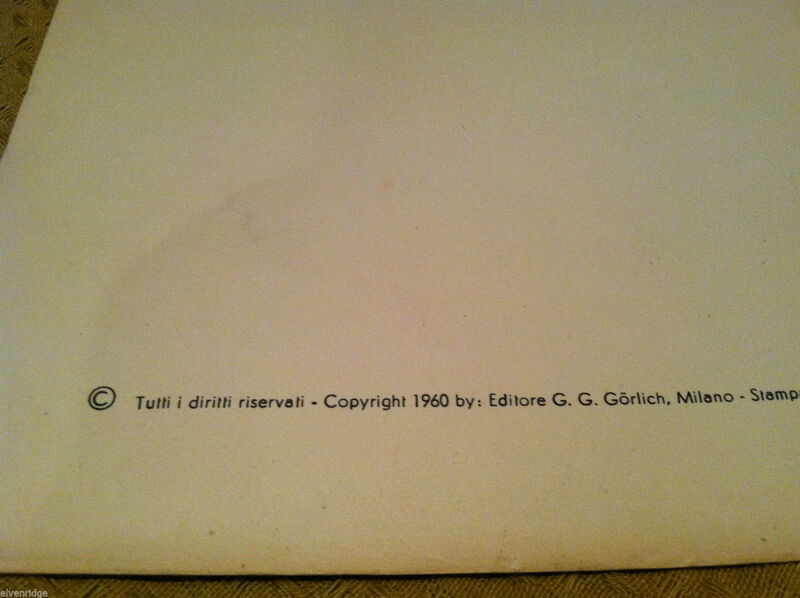 The book was printed in Italy in 1960, however the dates of the prints precede that. 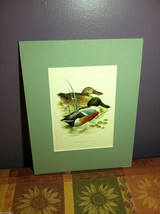 This one specifically is a print reproduced from a painting done in 1958 and signed by the artist "Murr." 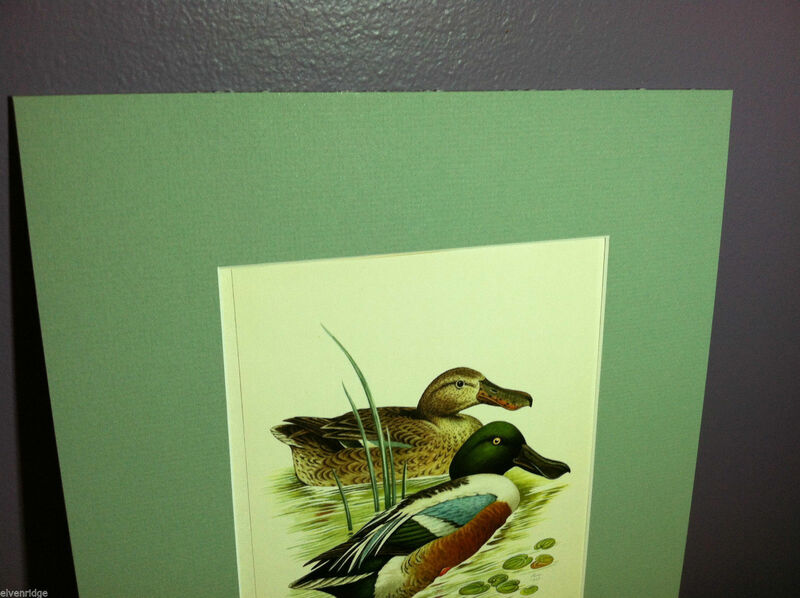 Also printed at the bottom under the bird is the bird's scientific name "spatula clypeata." 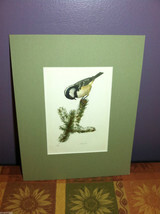 Included in this purchase is the print matted and framed. 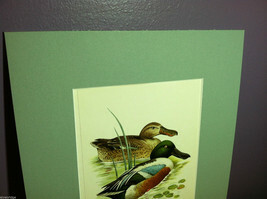 The matte is a sage green color and the frame is beveled and painted gold, and comes with a wire for hanging on the back. 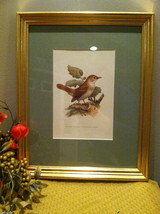 Will frame the picture when purchased, please refer to listing 230885395620 for an example of the picture matted and framed. The title pages from the book are originals and are photo'd for reference only and do not come with the print.